Ultimate Fighting Championship (UFC) president Dana White believes Tony Ferguson should hold off on competing until he can resolve his personal issues. Ferguson is regarded as one of the best lightweights in the world. Some believe that “El Cucuy” is the one to dethrone Khabib Nurmagomedov. Fight fans most likely won’t be able to find out if that holds true until Ferguson can clear some hurdles in his life. Ferguson’s wife filed a restraining order against her husband, but it wasn’t due to violence. Police had to be called to the Ferguson family home several times due to “El Cucuy’s” odd behavior. 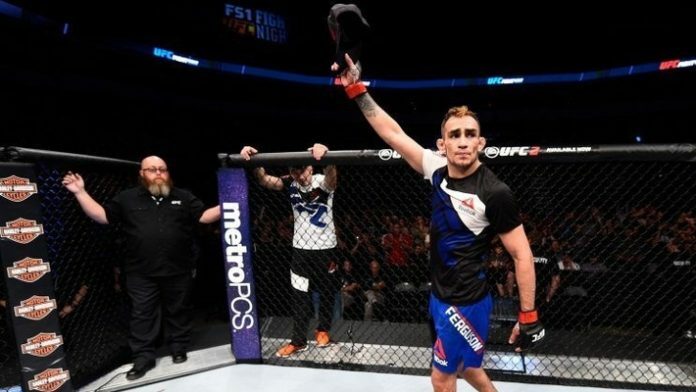 Ferguson was initially offered an interim lightweight title bout against Max Holloway, but he turned it down. Many believed this was due to the fact that Ferguson was already an interim title holder and was stripped of the gold due to injury. Do you think Tony Ferguson will be back inside the Octagon anytime soon?